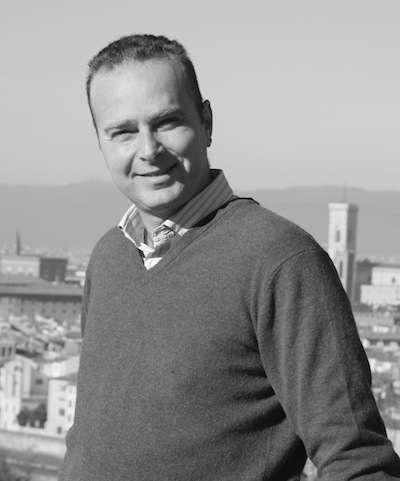 Hi, my name is Andrea, a professional tourist guide in Florence, and I hope to be your contact in this amazing city. I was born in Tuscany and lived in four different Tuscan cities, settling in Florence back in 1986. 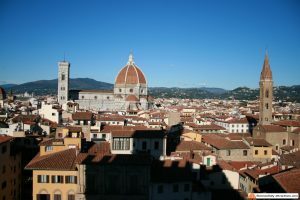 Being a tourist guide of Florence is a beautiful job which changed my life: it allowed me to stay more with my wife and child, to work in an awesome office (the city of Florence), to discover new things every day: you never finish learning. I love to meet new people from around the world, especially because they are happy and relaxed people enjoying their holiday, and showing them some of the world’s most famous art is a privilege. This is how it should be, but not always happens, and in my six years of experience with tourists from around the globe I have seen more and more unhappy people, for many reasons: they were woken up at 7 am because of men at work in their hotel, they were rushed in a tour the day before, they couldn’t find the meeting point because they were not given proper directions… things that probably wouldn’t happen if they had a friend in Florence, suggesting the things to do (and do not). I want to be that friend, using this blog to offer my insight on my city: the best tours and activities, arts, culture, attractions, history, news, events. 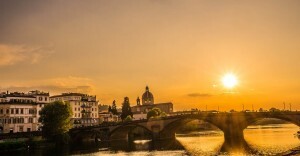 Just contact me and I’ll be happy to answer any question about Florence Italy! I know you do a private Uffizi tour, do you have any references? Hey Gary, that looks like a great program. I will contact you via email to arrange your day in Florence. Cannot wait to visit florence.